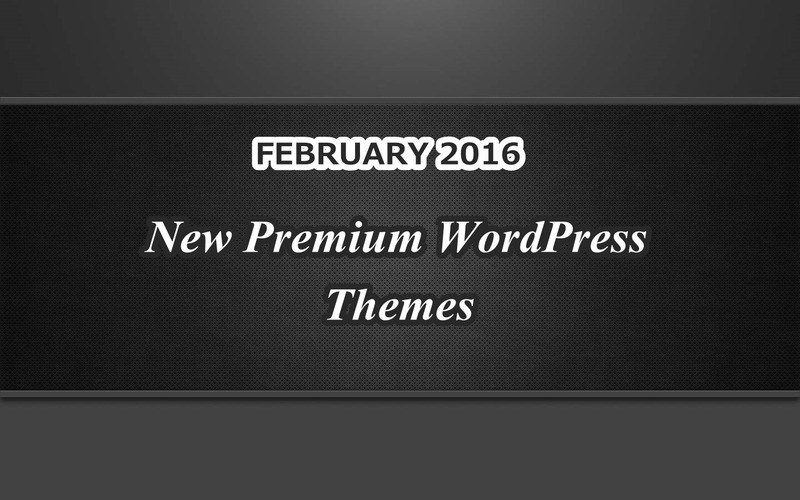 These free and premium themes are best way in handling coming soon content having creative style. During the pre-launch stage of a site specifically the service or product is an immaculate chance to get up excitement and interest. 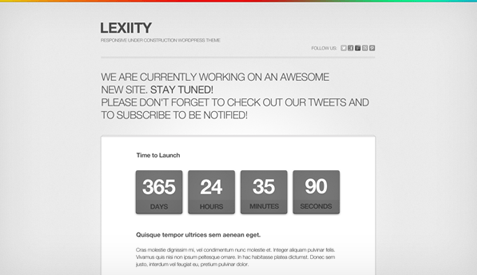 Lexiity—is from Theme Kingdom is a clean, no mess, and fully responsive coming soon theme you can use to provide a countdown to your audience and quickly capture emails. This integrates perfectly with MailChimp which comes with a small number of built–in color skins to pick from. 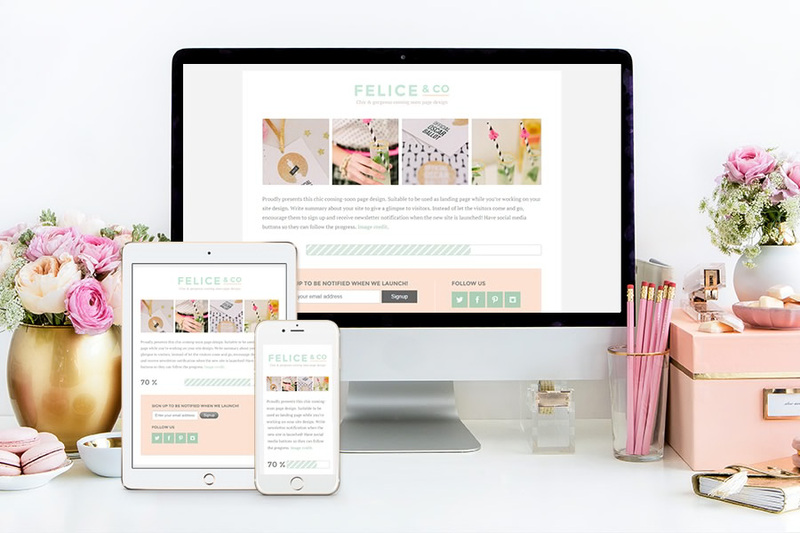 Felice—This theme is from Bluchic gives you a stylish and responsive solution for letting people know your site or service is on the way. Progress bar which enables to showcase the headway you’re making toward launch, and both the header and background design. 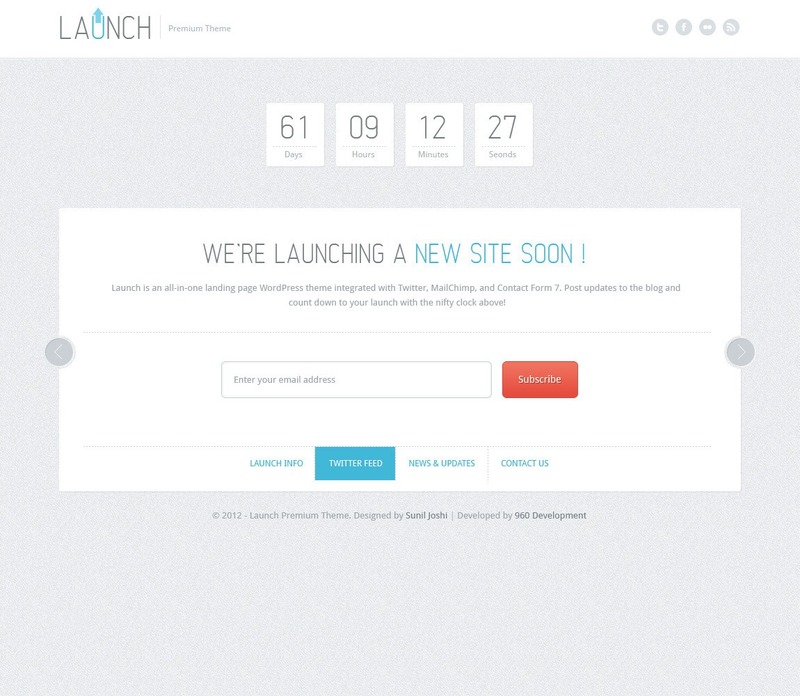 Launch—the free launch theme from WPKube is the brainchild of Jason Schuller (of Pickle fame) that enables you to get a stylish coming soon page up and running. This enables you to tweak pretty much every main feature directly from the Customizer, and the theme is easily integrated using MailChimp. You can simply add your API key. 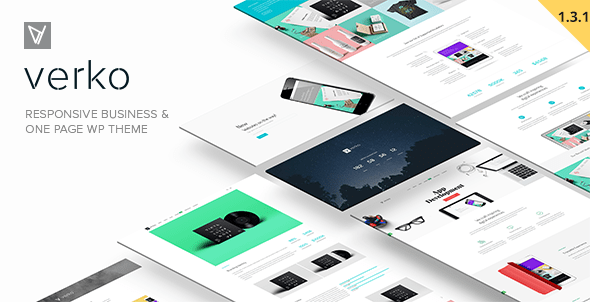 Verko—Verko is a slick, responsive one-page WordPress theme with the price of $44. A series of nicely put together demo pages that provide sample implementations to get your teeth into. 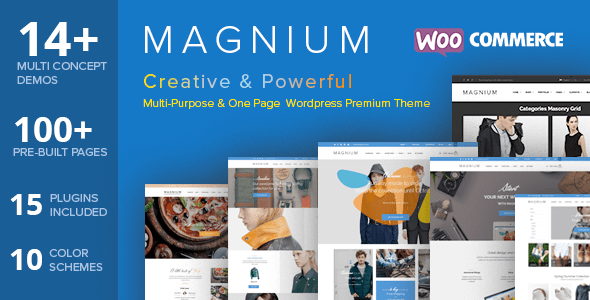 Magnium—this theme comes with 14 multi-concept demos, over 100 pre-built pages, and 15 bundled plugins. The single-page and landing page demo layouts ought to give motivation for putting together your own stylish coming soon page which is available for $59. 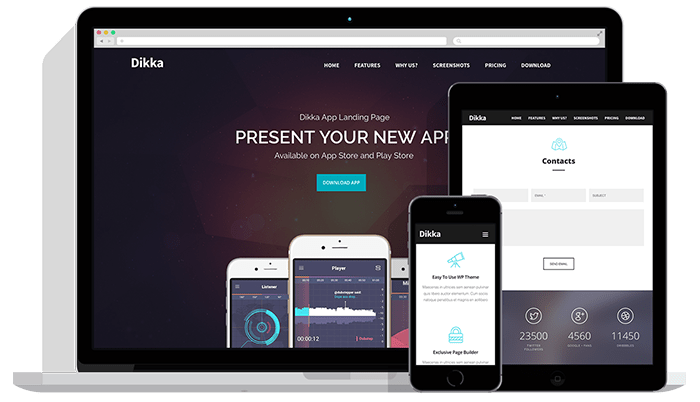 Dikka—the theme is available for $59 and provides you the flexibility to tackle nearly. This consists of demo data content to get you up, and ships with the popular Revolution Slider and Cube Portfolio plugins. If you want to meet the coming soon plugins, check them all at 23 Stunning Coming Soon Themes And Plugins For WordPress. When the WordPress theme directory was redesigned earlier this year, there’s one common request from readers and also suggested two years ago by Mario Peshev, the owner and WordPress Architect of DevriX. On July 22nd, Dion Hulse committed a change to the WordPress theme directory that allows registered users to mark themes as favorites. Registered users who are logged into WordPress.org will see a heart icon above the download button on a theme’s details information page. When clicked, the heart icon turns red and the theme is added to your favorites list. If you want to see your favorites list, visit the theme directory home page and click the Favorites tab. 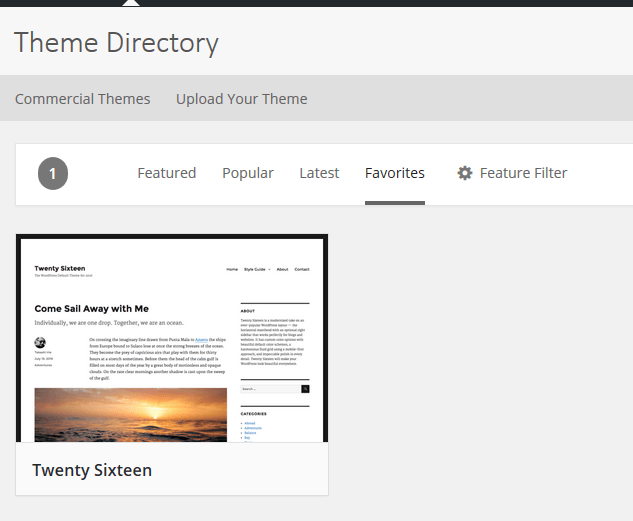 To read more about the new features of themes on the WordPress theme directory, you can check out at Favorite Themes on the WordPress Theme Directory. Business expertise and professionalism win hands down in today’s intensely competitive business environment. And you know that the best way to become famous in your field is via a strong online presence, marked by meaningful social media activity. A picture, definitely, is worth a thousand words; but, a gripping and easy-to-navigate website is worth a gazillion more! And is there a CMS better than WordPress to display your professionalism to your website visitors? Nah, not even close to it! Let’s take you through the top 3 WordPress themes for a professional looking website. As striking as its name means, this theme is optimized for SEO and lets you put sliders anywhere you please. It gives you abundant customization options in colors, fonts, BG loaders and for blog posts. It offers e-commerce plugin support, and multisite and multi-language implementation. It’s an innovative theme that separates design and content. It features the Nivo Slider, advanced admin panel, in-built skinning system, unlimited portfolio options in 7 layouts and several other outstanding traits. 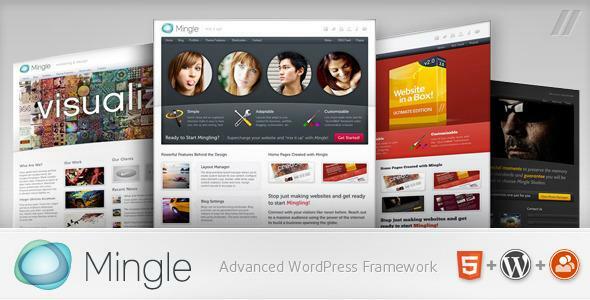 The easy-to-manage Mingle is a highly adaptable and intuitive WP theme including admin features that give you absolute control over your website’s design. It is BuddyPress ready; which means that it enables your website to turn into a fully functional interactive portal. Enhance your professionalism quotient and watch your business grow like never before. 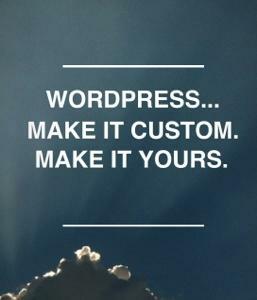 For any query or support for your business website, expect comprehensive WordPress solutions from Premium WordPress Support. Millions of businesses worldwide buy WordPress templates or download free ones to get a good-looking website instantly. However, what’s missing in these templates is the power to create a unique identity for your business. When you choose to go for a custom theme, you move towards creating something memorable about you that will be etched in the psyche of your website visitor. Let’s explore the top 3 benefits of a custom theme for your WordPress website. A custom theme incorporates your brand identity as the foundation of your website’s design. Your branding reflects everywhere; on the front end, administrative backend, login screen, dashboard, options screen and the favicon, and not the theme designer’s. Hence, every element of your site is used to promote your brand. Personalization is much more than choosing a header image, colors or fonts from the available options. A custom theme incorporates unique features and functions that only you will ever use and none that you will never, so that your website works exactly how you want. A custom theme does cost higher than templates but offers a clean code and the benefit of absolute control over your website layout and display. A custom theme enables you to choose what, how and when you want or don’t want to incorporate in your website. For complete support on custom themes and a host of other WordPress solutions, visit www.premiumwpsupport.com.